With the summer blockbuster season swinging into action, Sony Pictures Releasing has teamed up with Industry Trust’s Moments Worth Paying For campaign to combat film piracy with an exclusive trailer for Spider-Man: Homecoming. Showcasing why it’s important for superheroes to be seen in the very best quality on the big screen, the exclusive trailer is packed full of thrills and spectacular action as Iron Man engineers a new and improved suit for Spider-Man. 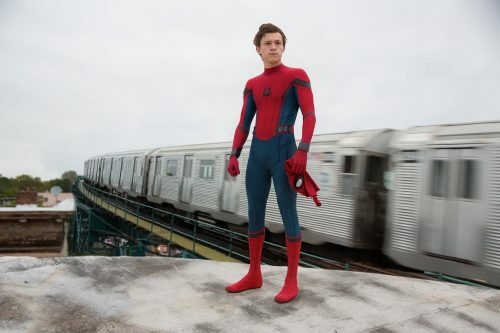 In Spider-Man: Homecoming a young Peter Parker/Spider-Man, who made his sensational debut in Captain America: Civil War, begins to navigate his newfound identity as the web-slinging super hero. Like the others in the Moments Worth Paying For series, the trailer directs audiences to the industry-funded film search engine, FindAnyFilm.com, which signposts them to legal content sources so they can book, buy and watch at their convenience. Spider-Man: Homecoming comes to UK cinemas on Wednesday 5th July. Book your tickets at FindAnyFilm.com.